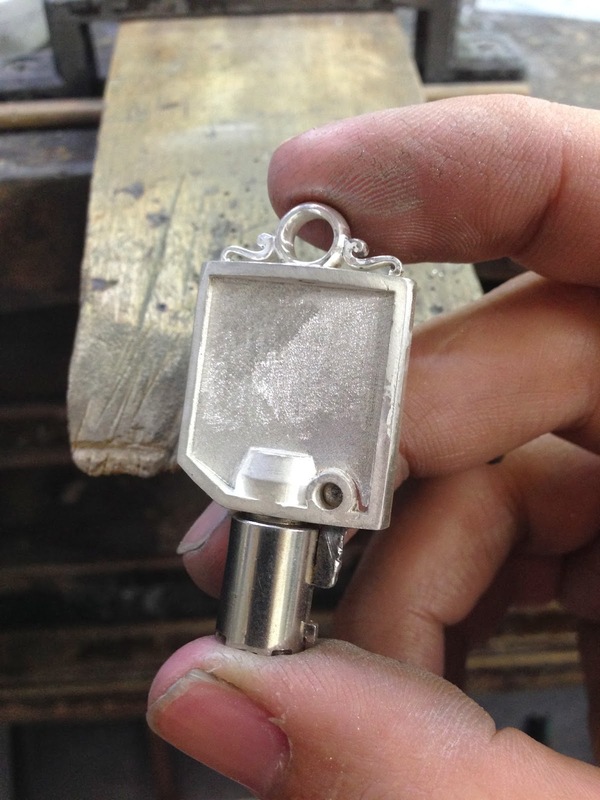 7th-Heaven Art Jewelry: ツインカム用キーカバーの制作　Production of the key cover for Twin-cam. 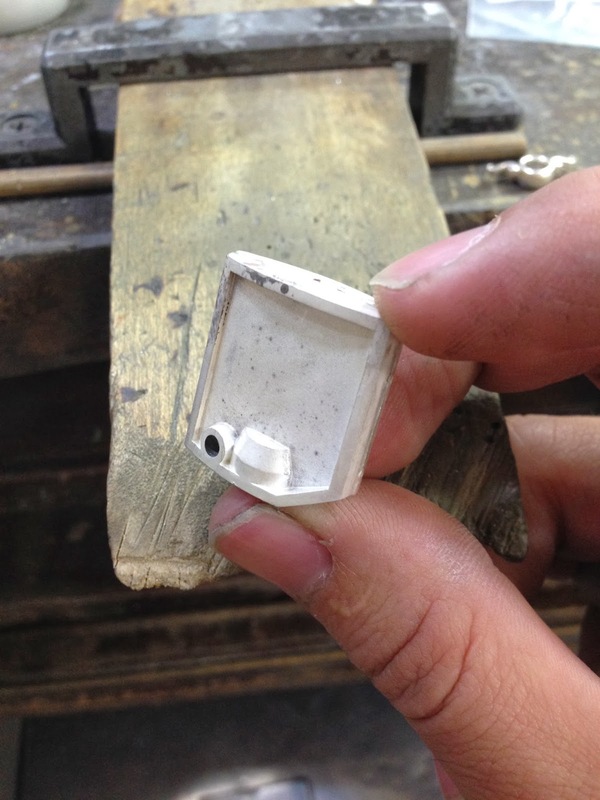 ツインカム用キーカバーの制作　Production of the key cover for Twin-cam. 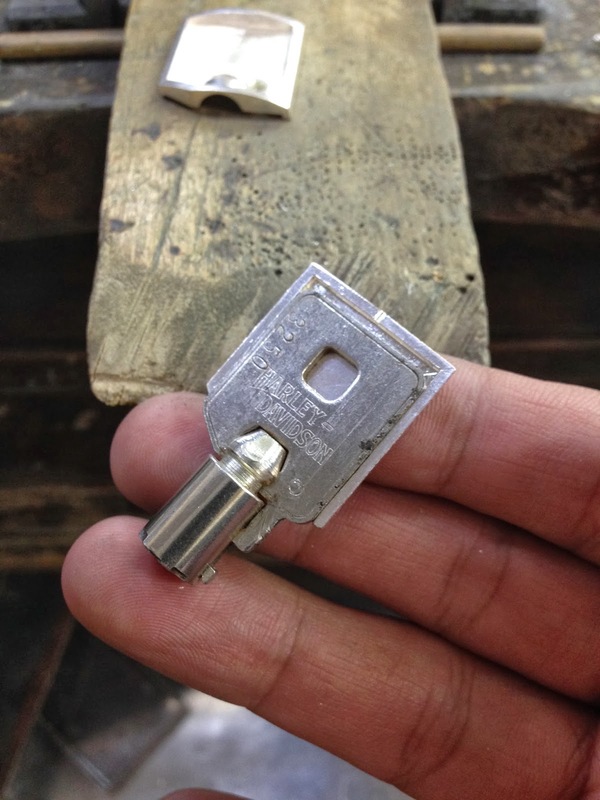 The key cover which I produce uses a genuine key. 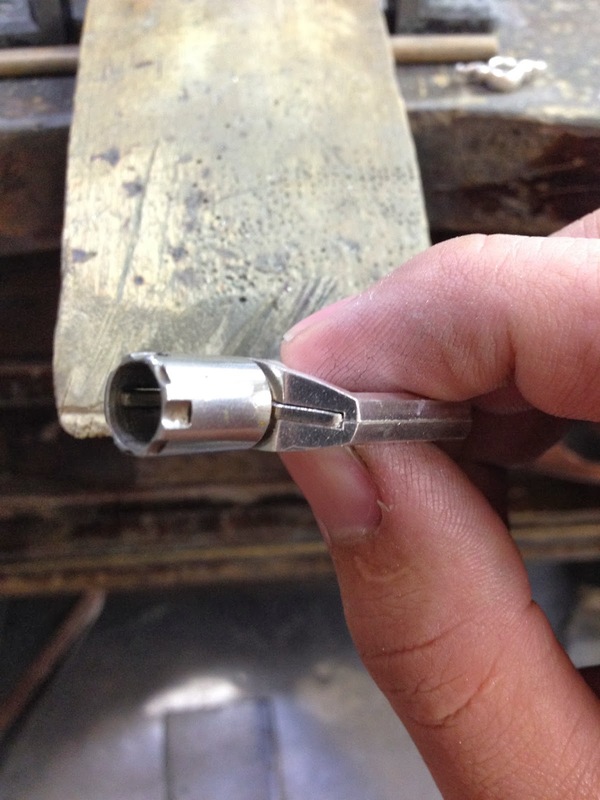 I sharpen it so that a key matches a cover. I put a key and confirm it. 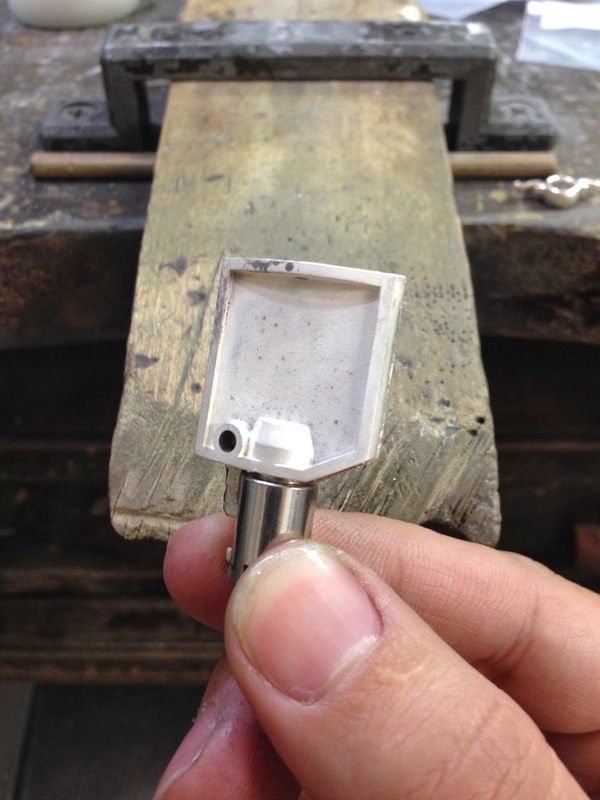 I attach parts on a cover. 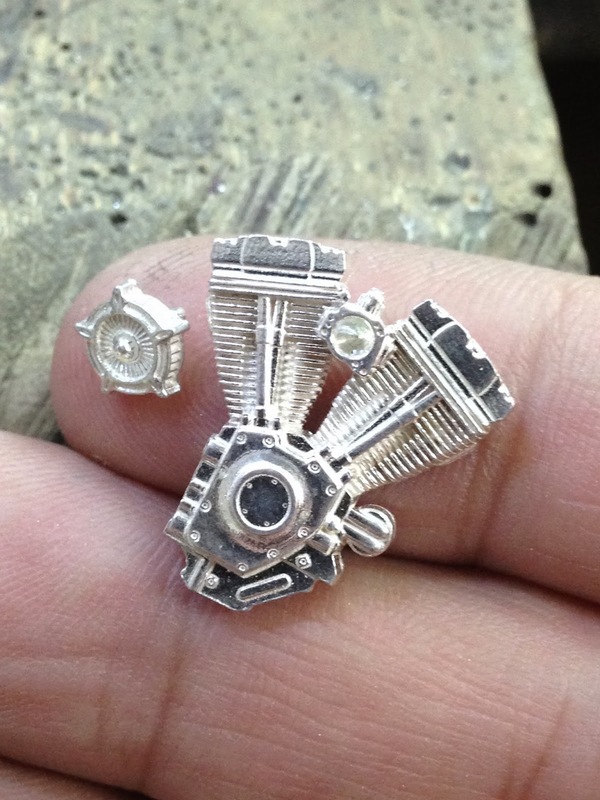 I produced a twin-cam engine and an RSD air cleaner. We will take up where we left off tomorrow.